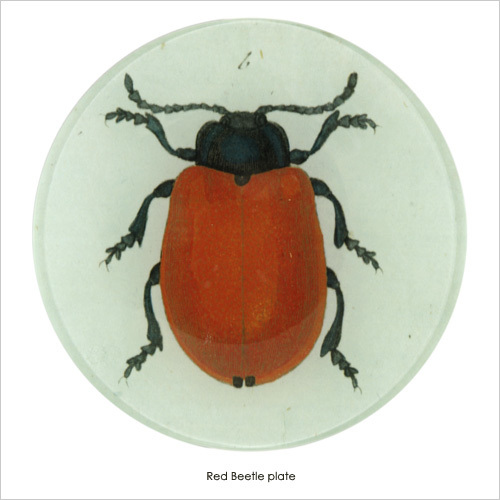 It still remains my dream to visit John Derian's store in person one day. 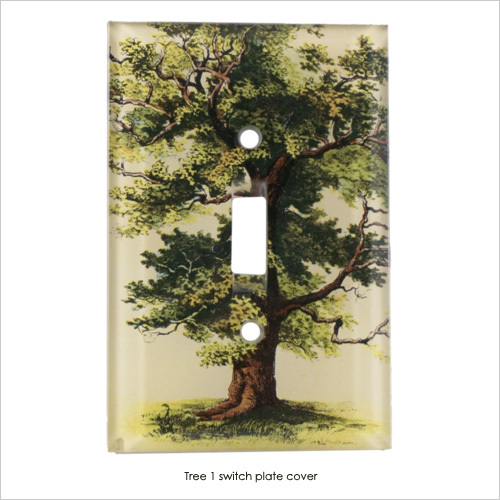 I am sure it will be a magical experience being surrounded by all the beautiful things adorned with timeless decoupage art and whimsical ephemera from designer's own collection. 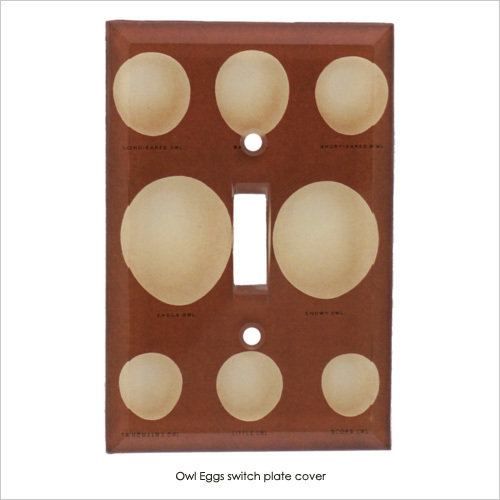 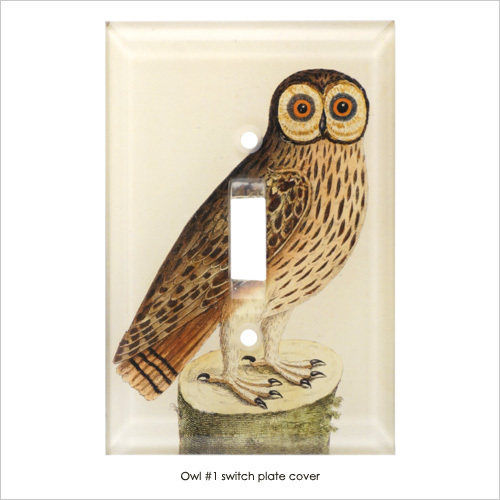 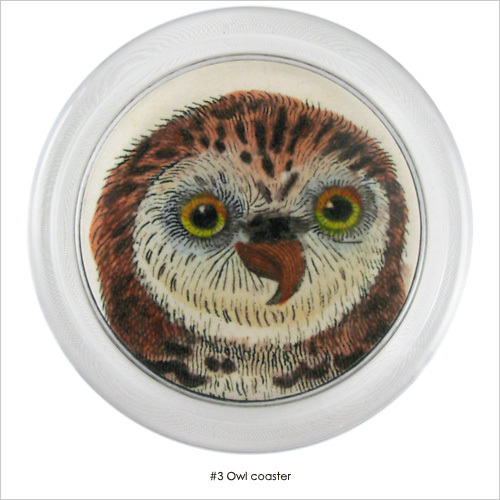 For now, let me present to you the new (to me) collection in decoupage plates, coasters and switch plate featuring vintage illustrations of owls and many other creatures. 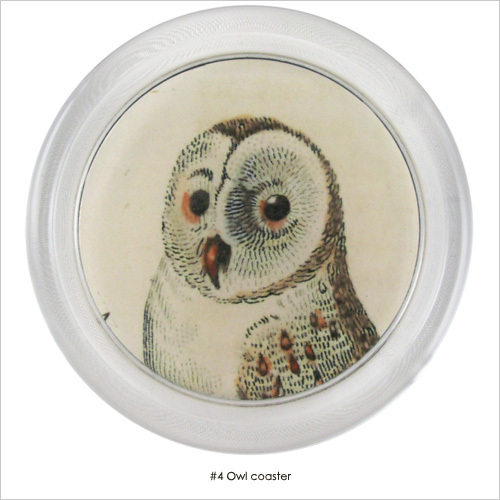 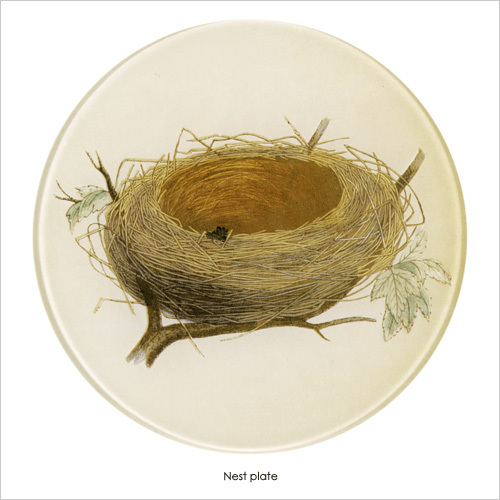 John Derian and his staff of artisans makes the finest products in his studio in New York City. 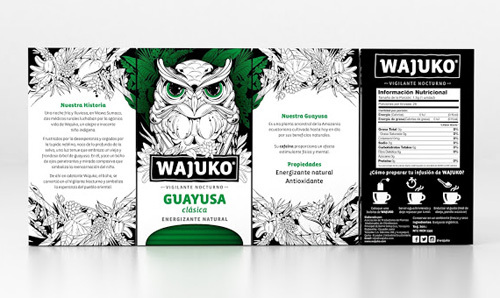 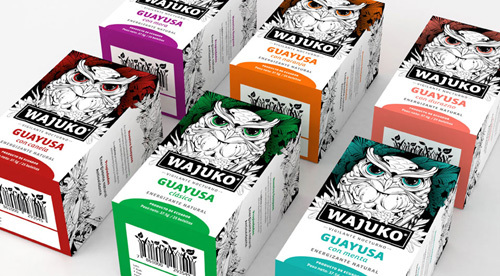 When Teguma was looking for a creative team for their new brand of Guayusa Teas they approached Gworkshop to come up with striking and bold package design. 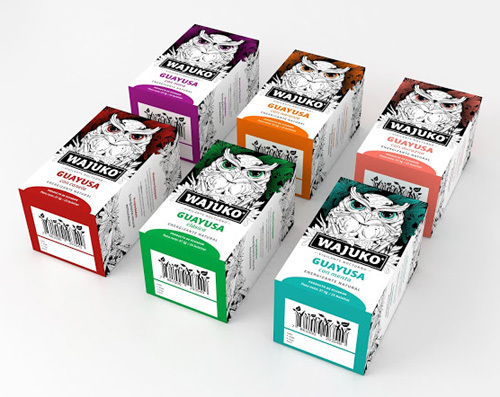 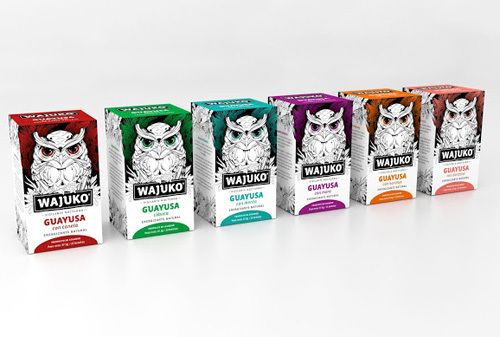 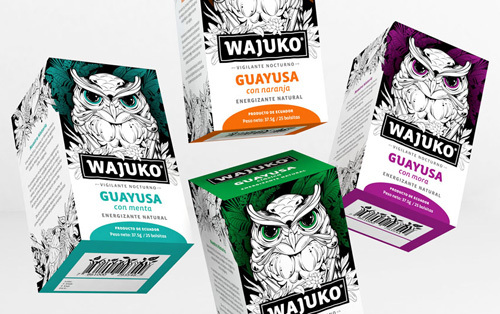 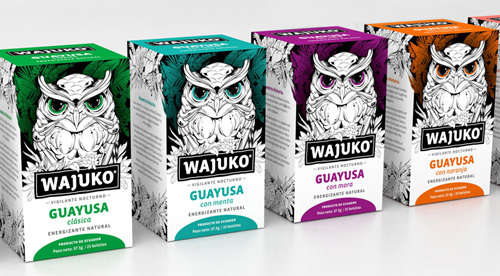 A serious looking owl, sketched in black with big eyes appears on the box colored in four dark colors each for each flavor of the tea. 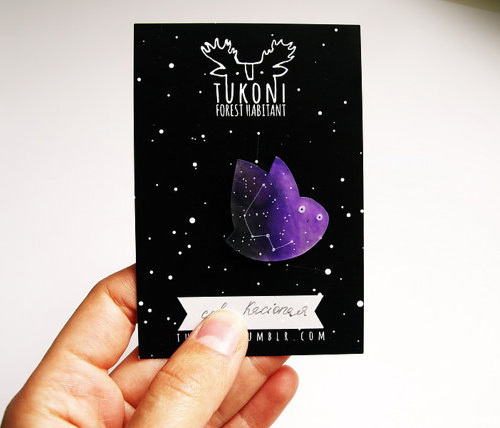 The story behind the design. 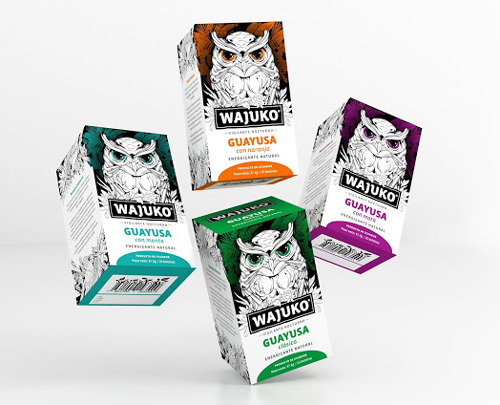 "A cold and rainy night in Wawa Sumaco, two rural doctors struggled to safe Wajuko from it’s agonizing life, a happy and innocent Indian child. 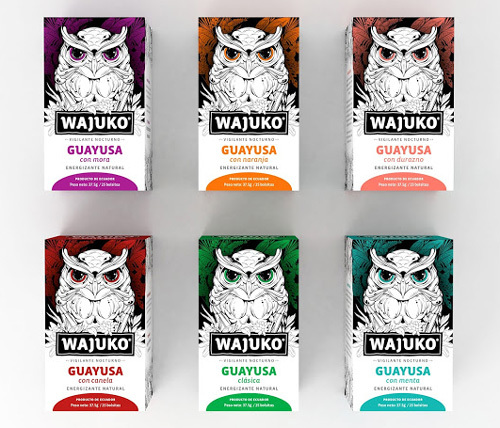 Frustrated by hopelessness and blinded by the thick fog, it grows from the depths of the jungle, a glimmer that embraces an old and leafy tree guayusa. 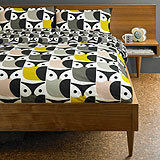 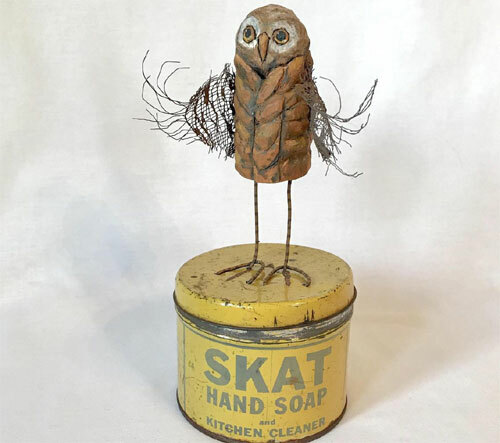 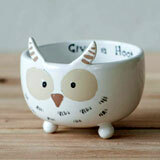 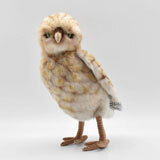 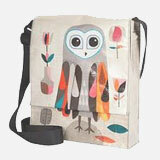 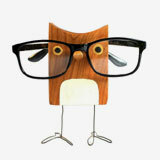 In it, lies an owl with penetrating eyes and sympathetic look that symbolizes the reincarnation of the child. 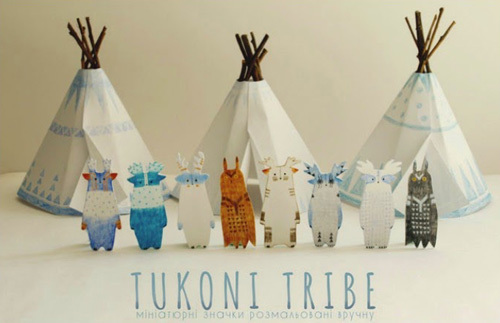 Oksana of Tukoni Tribe is an artist from Ukraine. 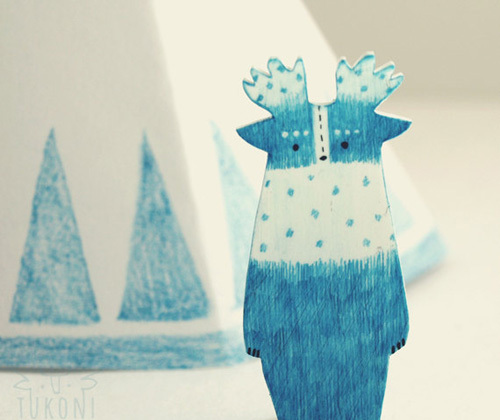 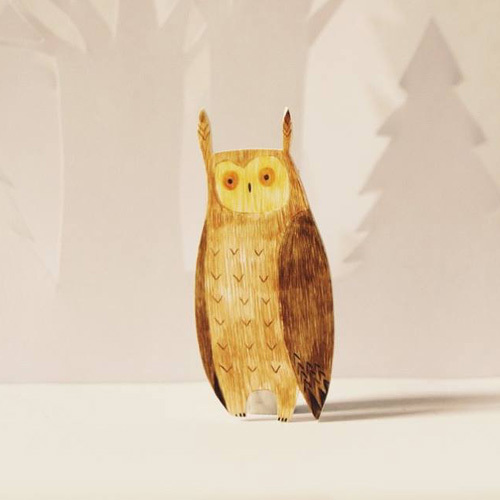 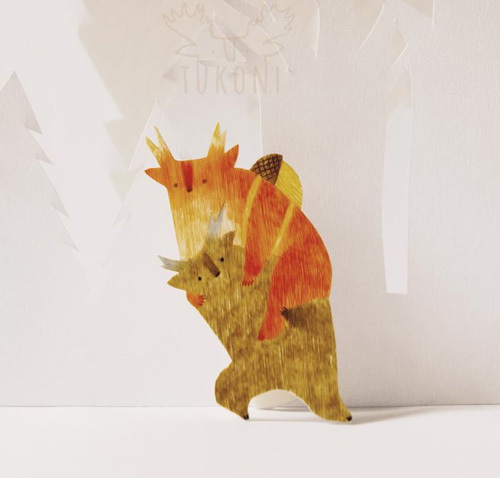 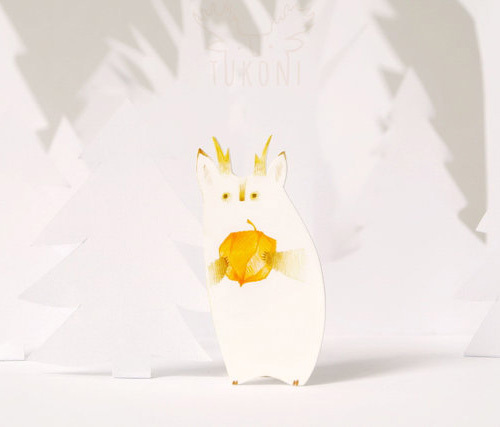 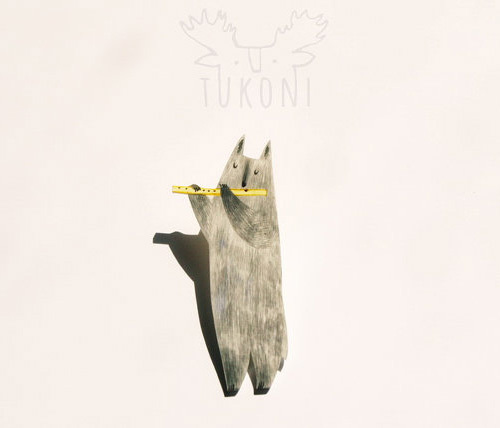 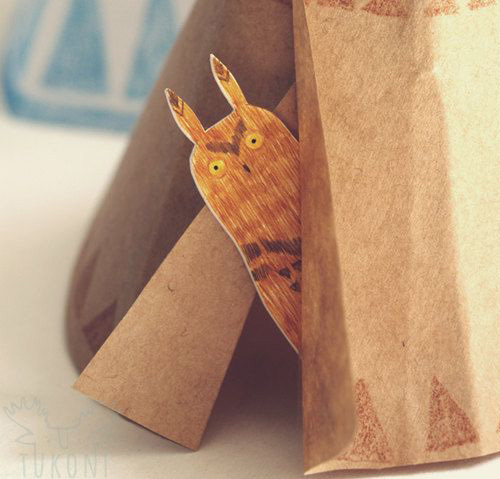 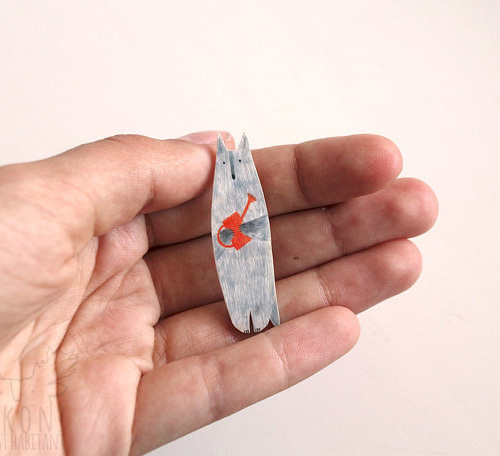 She creates adorable series of hand-painted brooches of forest habitants whom she calls - little tukonies. 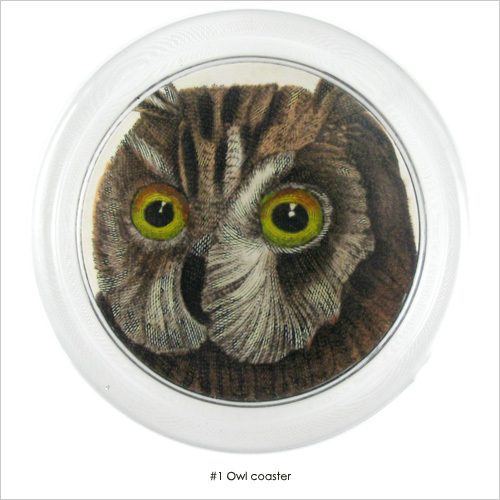 The brooches are individually hand-painted by the artist with incredible detail which bring the characters to life. 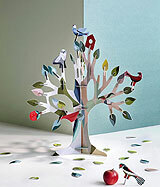 Each one has it's own story. 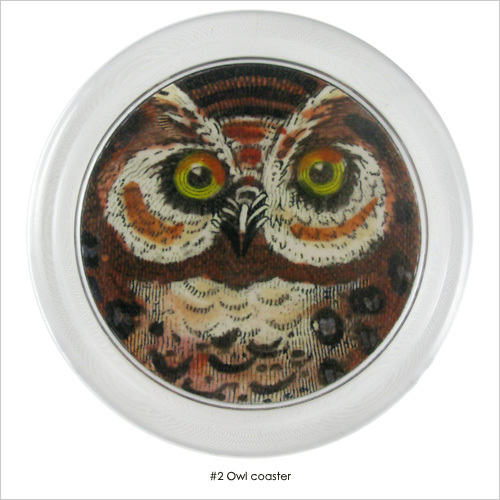 Like, The Space owl Cassiopeia who has a noiseless flight. 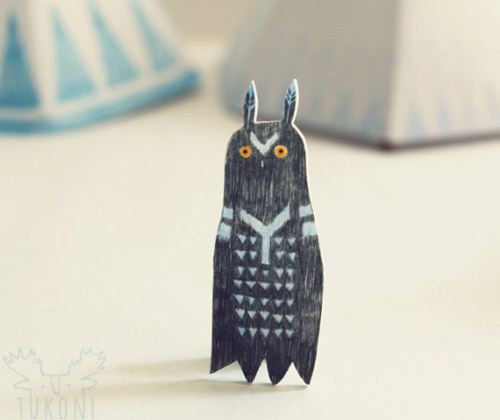 She is an enigmatic person who lived in the night sky. 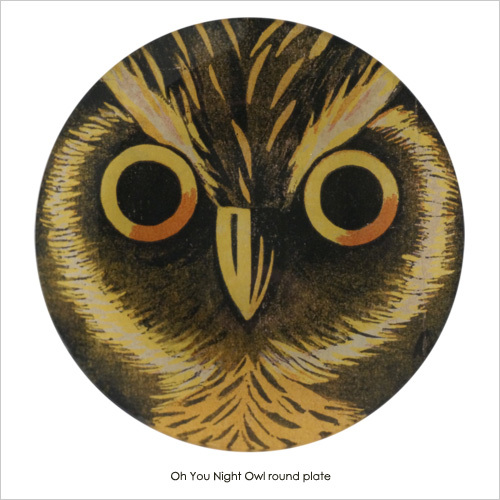 She is a child of night, knows all about the stars and listen them sing. 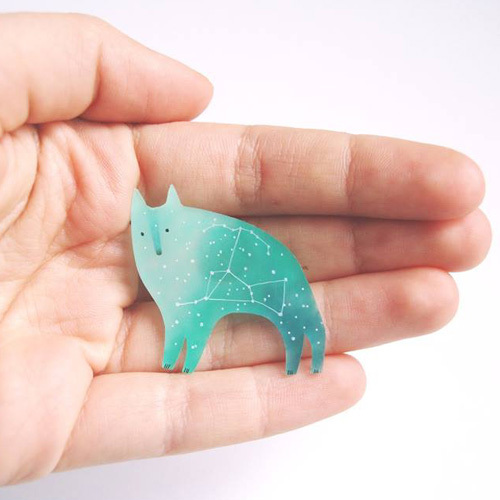 Or, meet The Little wolf a gardener who is eager to help you with your plants. 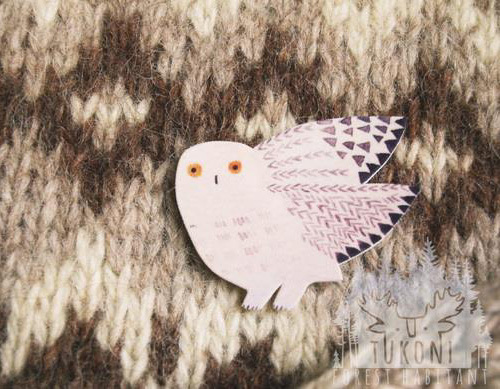 Perfect to wear on your jacket or bag. 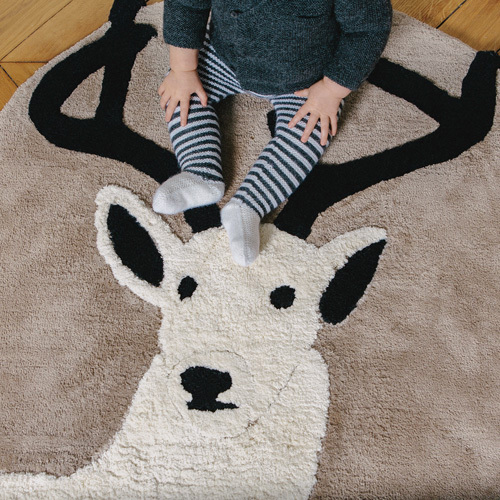 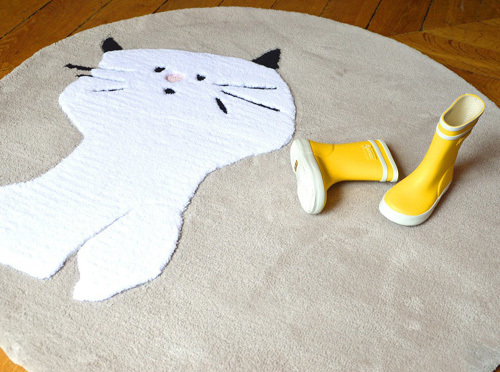 Get your little one's room ready for Fall with these cozy and soft rugs by Baby Alpaga, Paris in collaboration with Un Tapis à Paris. 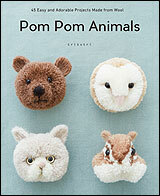 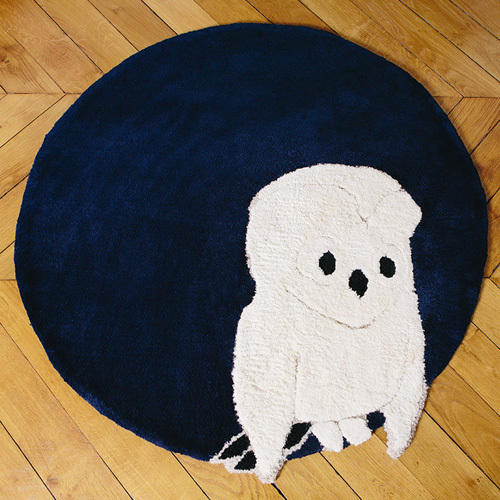 The super sweet unique animal rug series include owl, deer, cat, alpaca, monkey and rooster (not shown). 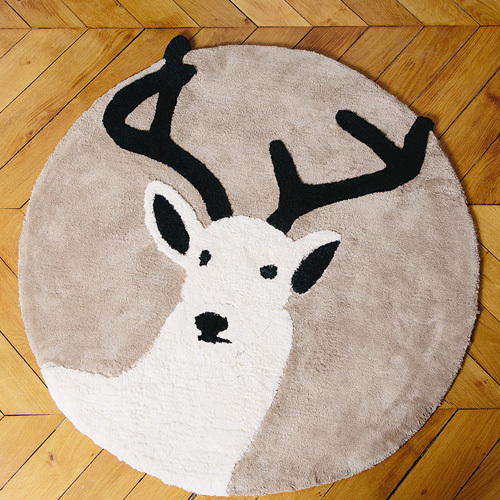 The rugs are hand-tufted in Portugal using wool and cotton for the most comfort. 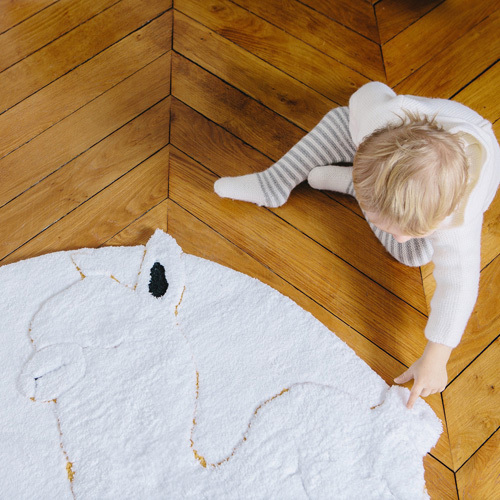 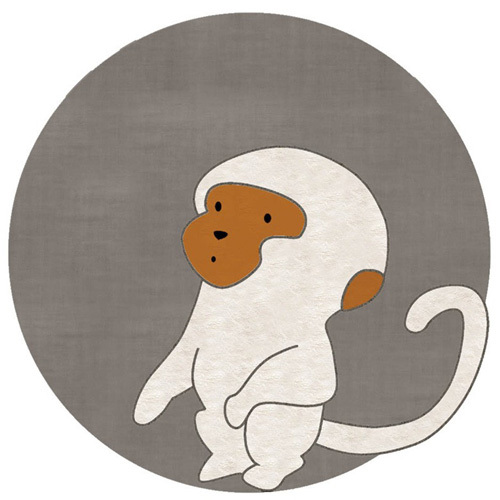 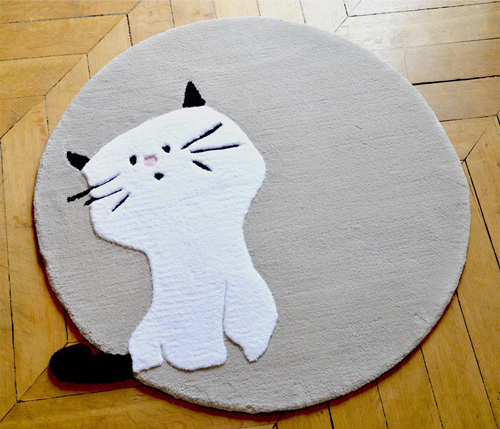 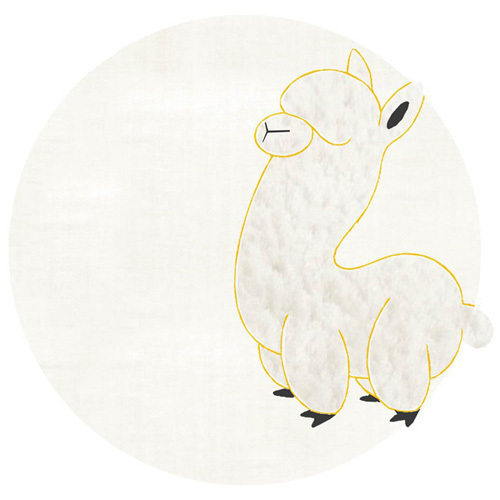 Rugs are 95cm in diameter which provides with a generous size for the little one's playtime. 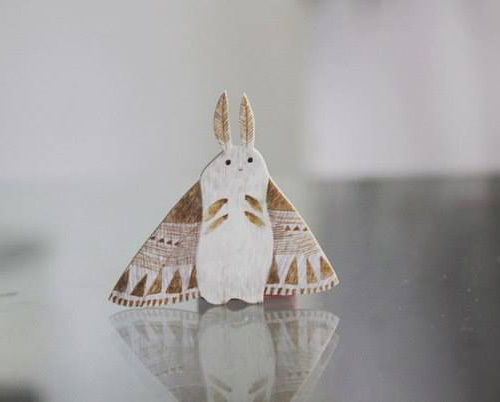 Available at Smallable.com.